These bulbs have a higher light output than standard H7 bulbs to help increase visibility. 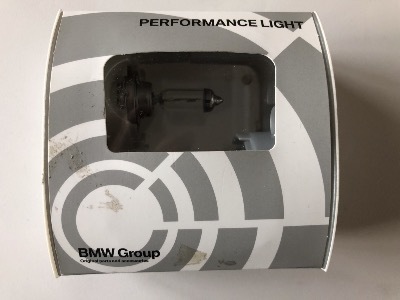 The BMW part number is 63212239799. Please check this against your VIN number using the BMW electronic parts catalogue to make sure it is correct for your car before buying. If you do not know how to do this, send us the last 7 digits of your VIN number and we will check for you.